View of buildings downtown including the old Amsouth Bank and Bank of America buildings. 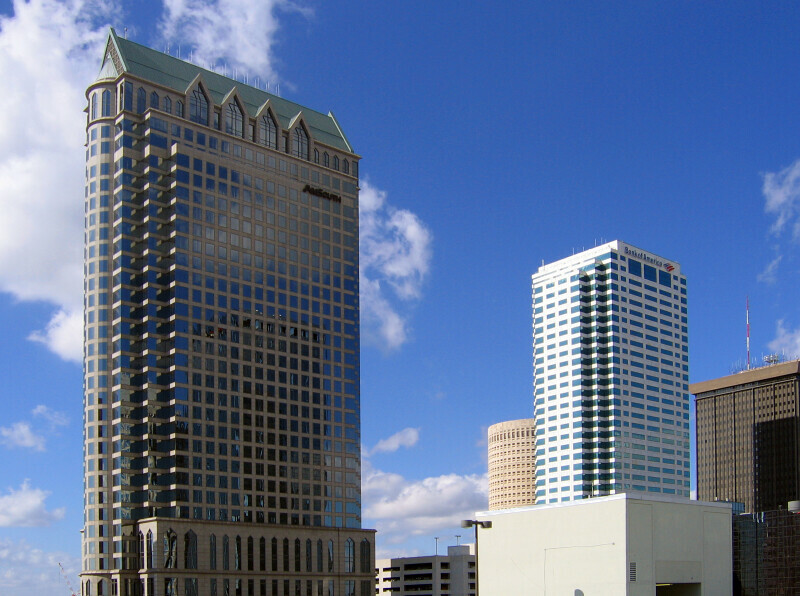 The Amsouth building is 42 floors and 579 feet high making it not only the tallest building in Tampa, but also the tallest in the state of Florida with the exception of Miami and Jacksonville. WARNING: You are about to download a 7.5 MB TIFF!